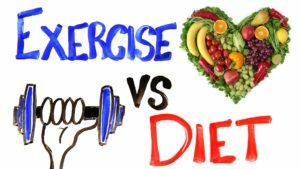 Which is more important for your health – exercise or diet? If you listen to the likes of Michelle Obama 1, then it would appear that exercise Trumps diet (pun intended and immediately regretted). This opinion appears to be shared by all those who have an interest in making money out of manufacturing/selling processed and junk food, those who want us to keep popping the pharmaceuticals and paying for mere management of our chronic illnesses rather than cure, and also by those who own gyms or sell home gym equipment and the plague of protein powders. But what do WFPB doctors and scientific research tell us? 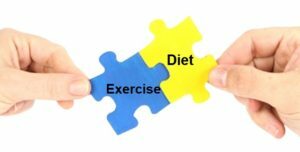 Which does the science say is more important – diet or exercise? Which is more effective – exercise or drugs? What are some of the benefits of exercise? I know that I go on and on about diet, devoting only a relatively small amount of blog space for exercise-related issues. Interestingly, it appears that I share this tendency with Dr Thomas Campbell: “…when I discuss lifestyle with my patients I spend almost all my time talking about food. My new book, The Campbell Plan 2 , contains just about a page on exercise. Am I delinquent? Perhaps I am. We know how crucial exercise is, but what I see more often than not is an overemphasis on exercise. I tend to see people focus their energies on getting to the gym as their primary strategy for weight control while leaving their diet largely the same. Perhaps they are trying to eat less, or just not snack on the junk in the house as often. Overall, this is a poor strategy.” 3 . Dr Joel Fuhrman considers 6 that exercise has a lot more value than simply helping us to lose weight by more quickly burning calories: “The calories burned during exercise, unless you’re a professional athlete, make up a very small portion of our total calories burned for the day; what we eat has a much greater influence on our body weight. So why should we bother to exercise? The answer is that burning calories is just one of the many benefits of exercise. 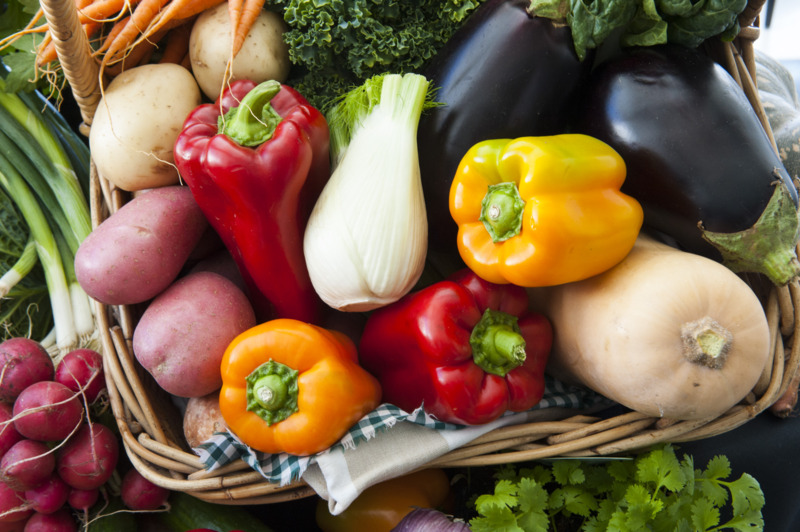 Many other WFPB doctors extol the virtue of exercise, but they all consider that it must be within the context of a healthy plant-based diet. “The food industries like to blame inactivity as the prime cause of obesity, not the promotion and consumption of their calorie-rich products 9 . On the contrary, however, research suggests that the level of physical activity may have actually increased in the United States over the past few decades 10 . We know that obesity is rising even in areas where people are exercising more 11 . This is likely explained by the fact that eating activity levels are outstripping physical activity levels 12 . “Surveys suggest that most people believe controlling diet and getting enough exercise are equally important for weight control 13 . Researchers who accept grants from the Coca-Cola Company 14 call physical inactivity “the biggest public health problem of the 21st century.” 15 . Actually, physical inactivity ranks down at number five in terms of risk factors for death in the United States and number six in terms of risk factors for disability 16 . And inactivity barely makes the top ten globally 17 . 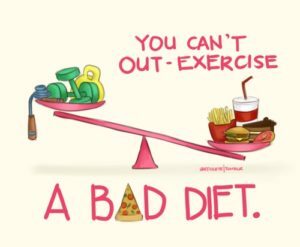 So, which is most important, then – exercise or diet? I think it’s clear from the above that both are important. However, if I was to recommend one rather than the other, it would be diet every time. There’s some benefit in exercising while still eating the toxic SAD (Standard American Diet) full of excess animal protein, fat and cholesterol, processed junk, salt, sugar and oils; but the benefit would be minimal compared with doing relatively no exercise but simultaneously eating a WFPB diet. Posted on 24th July 2018 24th July 2018 By wholefoodplantbaseddietPosted in Exercise, Nutritional Research, Weight Loss, Whole Food Plant-Based DietTagged diet vs exercise, Dr Fuhrman and exercise, Dr Greger and exercise, Dr Thomas Campbell and exercise, exercise vs WFPB diet, WFPD more important than exercise?